Voluntary organizations, whatever their size or purpose, need to function successfully in order to fulfil their aims and give staff a sense of purpose. This means that good management, which has clear objectives and financially sound principles, isessential. In this commonsense book, the author of the worldwide bestseller Understanding Organizations puts forward a range of suggestions for making not-for-profit organizations work efficiently and effectively. 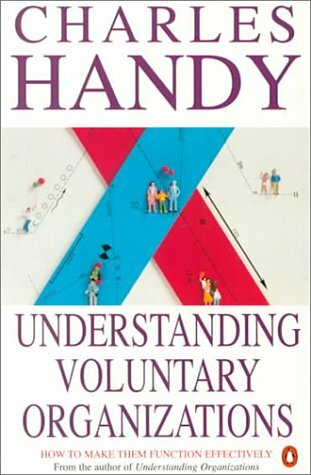 In the first part, Handy discusses the people who work for voluntary organizations and suggests methods for improving communication and team work. Part two examines the culture and structure of organizations and suggests way to implement changes for the better. Charles Handy is an internationally renowned management thinker and writer. Since the publication of his first landmark work Understanding Organizations in 1976, he has published a further ten books and spoken throughout the world about the changing shape of work and organizations.